This article explains how and why business details should be added to Nookal. Business Details are added in the Locations section of the account and need to be added for each Location if multiple Locations are set up. 3. Click on the Location Name for which details need to be added. 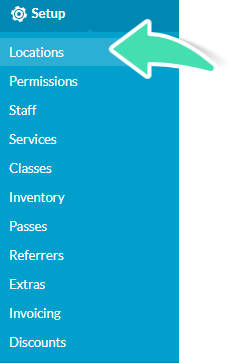 In each Location page, many fields are mandatory, whereas other fields are optional. See below how each piece of information is used in your account. 4. Add a Name for the Location. It doesn’t have to be the Business name as it can be any name you refer to for this Location. It will be displayed in the Diary tab. 5. Phone numbers added in the Location will be displayed in your letterhead, online bookings and email signature. 6. An Email address for each Location is mandatory as it is used as the “reply-to” email for any email sent from your Nookal account. It will be displayed in the letterhead of invoices and letters generated with Nookal. 7. Adding your Website is optional. If added, it will also be displayed in the letterhead of invoices and letters generated with Nookal. 8. Address fields are optional apart from the Country but we recommend adding full addresses as these will be used for Online Bookings, letterhead and email signature. 9. Click Upload Logo and select it from your logo from your local computer files to add your logo to your Nookal account. It will be used for the letterhead, online bookings and emails sent from Nookal. 10. Add your legal Company name. It is displayed on letterhead and email signatures. 11. The Registration number is where you can add your business number. 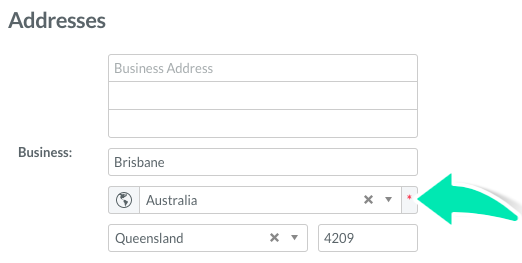 Choose the appropriate type from the dropdown list and type in your number. The Business number will be displayed on letterhead. 12. The Contact is the person responsible for the account and the business, the person we would contact if we need to communicate regarding the Nookal account. Select a user among the staff in your account. 13. Once this information has been added or you’ve updated any existing information, click Save Changes. You might be required to log out and log back into the account to see updated changes.